Well, a recently proposed state law in Indiana is going to make the players, and their teams, put their money where their mouth is. 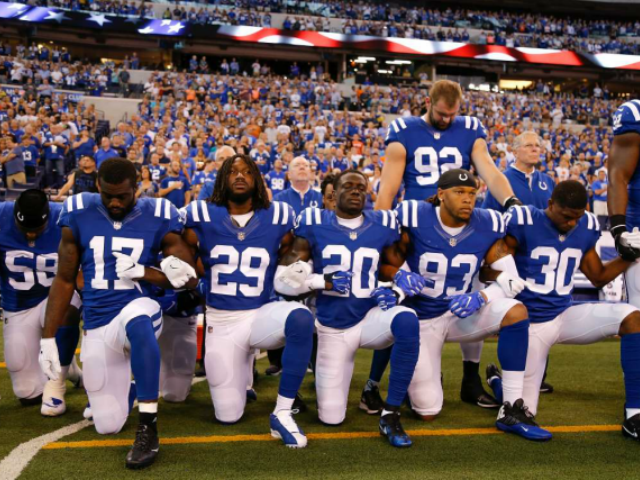 Under new legislation filed this week in Indiana, if Colts players kneel in protest of the anthem, any Colts fan angered by that demonstration would have the right to demand a refund from the team. Smith is not the first public official to take offense at an anthem protest at a Colts game. On October 8th, Vice President Mike Pence, a native and former Governor of Indiana, walked out of a Colts-49ers game after witnessing one of the larger anthem demonstrations of the 2017 season. Colts fans aren’t the only fans who might soon get a refund of their money, due to anthem protests. A Saints season ticket holder filed a suit against the team for a protest the team held in early mid-September.